3rd experience with Pink Plumber. Excellent service. Very professional and courteous. Took time to explain the entire process and provided contact information for follow-up question. Definately earned a customer for life. I had a clogged kitchen drain and a large party scheduled for that same evening. Felix came out and was very courteous, informative and knowledgeable. He explained what was going on with drain and gave me options to try to resolve the problem. If I ever have a plumbing problem again, I would certainly call Pink Plumber and ask for Felix. Mike is a really nice technician who found my earring and fixed the leak. Was prompt, courteous and thorough. My only reservation was everything seemed a bit pricey. My daughter recommended Pink Plumber, and we gave them a call when we had some issues with a garbage disposal unit, knowing that it likely needed to be replace. Richard Q was on time to our appointment, and did a great job in telling us about their services, and gave several options for replacement. I appreciated the thoroughnesss of his explanation, and while I though the quoted price was a few dollars higher than I thought it would be, I thought a few extra bucks was just right for the expertise and thoroughness displayed during the visit. (he also fixed a few minor things that I had screwed up in my self repairs!) I do recommend Pink Plumbers, without reservation. David L, our Pink Plumber Service Pro was very helpful in narrowing down our potential plumbing problem in our master bathroom. He quickly recognized we didn’t have a plumbing problem after all and didn’t try to sell us services we didn’t need. My wife and I really appreciate that would strongly recommend the Pink Plumber and would specifically ask for David, knowing he’ll be honest and not try to take advantage of an opportunity to do unnecessary work. On a Saturday morning I woke up to my double kitchen sinks full of water and what appeared to be black beans and rice and chicken. The smell was awful. I then saw that my bathroom sink also had stuff in it. U tried to run my disposal and the results were awful. Then I stupidly put in a drain cleaner. Then water started flowing into everything with bubbles too! I called The Pink Plumber and Michael saved the day!! God bless him. I’m in a bottom condo unit and apparently someone above me had dumped rice and beans and chicken down their disposal which blocked up the main floor lines!!! He removed almost 100 gallons of water flowing out of my kitchen sinks!! Michael M. Did an incredible job and saved my condo from flooding! I can’t be more thankful to him and The Pink Plumber for such a heroic job. Professional service and kept me calm. I highly recommended them and they are now my only Plumber choice! I would recommend Felix Rivera service technician from the pink plumber. He and his helper Joe did a first rate job for me. Had my whole house replumbed. He was professional and curtisous . Quality of work and work ethic is 5 star. The Pink Plumber Co. should be proud they have an employee like him and his team representing them. I have a maintenance back ground and I know quality work when I see it. Job well done! The technician showed up earlier than promised. All times was very professional and demonstrated full knowledge of the problem, the cause and the correction. He solved the problem quick and listened to us. I strongly recommend him. TJ rules! Thank you for quick, kind service! They have my future business! TJ was awesome in a very difficult situation with our clogged toilet. I called Pink Plumber, they scheduled me right away and TJ arrived on time and very prepared. He unclogged our toilet in a few minutes and we were back in business. We also had TJ change out our toilet seat. Sounds simple but I was unable to figure it out for weeks, but with TJ, easy. TJ was very clean and neat with his tools and workmanship was perfect. Very professional, courteous and considerate! TJ was courteous, professional and knowledgeable. Called Pink Plumber after four days of trying to unclog a toilet on my own. Remembered seeing their pink trucks while driving and called. They scheduled me the same day! T J arrived and did a thorough exam of the situation and cleared it quickly! Pink Plumber is now my new plumber and will rely on them in the future for all my plumbing needs! .....and yes, they do really give money to breast cancer research! 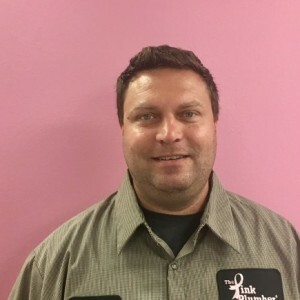 We cannot say enough good things about our service technician TJ (Thomas S.)! He is knowledgeable, professional, and thorough. We have had him come to our house many times for various repairs, and he always takes care of business efficiently and effectively. We have come to trust TJ in all matters related to plumbing. Thank you Pink Plumber. TJ looked behind the shower and determined that was not the cause. He also took out the toilet, fixed a seal, and was able to determine it was not coming from there as well. He suggested having a leak specialist come in to narrow it down. I have used The Pink Plumber in the past and have a very pleased with their work. Today, Thomas and team came out and did a great job taking care of two plumbing issues. I highly recommend them. Excellent service. Very professional!! I would use them again! The Pink Plumber provided a very professional, courteous and exemplary job in fixing the plumbing issue in my house. I would definitely use the Pink Plumber again and I will recommend them for future projects. They come highly recommended - and I can see why! TJ, they’re on-site plumber, was very helpful and walked me through each step. He is trustworthy, knowledgeable and very personable. Thank you Pink Plumber...excellent work! The tech was very helpful and fixed our problems.He was here for 2 hours and explained everything. TJ and Ben were professional and provided multiple options and were informative. I highly recommend their service. I called Pink Plumber at 505 pm and TJ was at my door at 800 am the next morning, exactly as scheduled. He replaced the valves and cartridges in three showers and replaced the garbage disposal. He was patient, friendly, knowledgeable and took the time to explain everything. 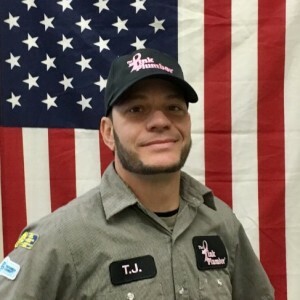 I highly recommend Pink Plumber and TJ. Quality service. Update: One week later, I called back for some additional work and requested TJ. He showed up within two hours of my call and once again far exceeded my expectations.He takes great pride in his work and provides excellent customer service. Highly recommended! Thomas Salvato aka TJ was my personal plumber and he was incredible! He took the time to explain and show me each issue and patiently answered all my questions. He was very tidy and cleaned up perfectly after he was finished! Thank you TJ!!!! You have a lifetime client! TJ did an amazing job fixing the issues I jad. He was super friendly, extremely knowledgeable, and really cared about getting the issues resolved. He was quick and very thorough. The only reason I did not give 5 stars has absolutely nothing to do with TJ as his service definitely deserved the full 5 stars. I just feel like the pricing was on the high side but I needed it done today. Thank you TJ for getting everything completed, and for your quality workmanship!!! Arrived earlier than was scheduled and looked over the details of work requested. Made very quality recommend repair options. Completed the repairs and kept us informed of discrepancies found throughout the repair process. As new homeowners we were happy to have such a professional complete the repairs.